We have a number of chutneys made out of vegetables, elsewhere in this blog such as Carrot Chutney, Cabbage Chutney, and Tomato Chutney. The one I share today is made of Capsicum. These days I try to make chutneys without using coconut or with the minimal use of the same. I was happy therefore to find this recipe for Capsicum Chutney which does not call for the use of coconut at all. 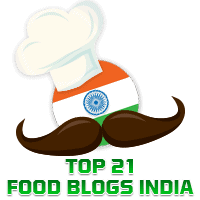 I have adapted this from my friend Aparna G. Prabhu's blog, Aps Kitchen. The use of onions tends to add a little sweetness to the chutney, which you can balance by using the right amount of green chillies to suit your taste. This tasted great with idlis and dosas. In a kadhai, heat oil and when it gets hot add mustard seeds, and when they splutter add cumin seeds, followed by asafoetida and curry leaves.